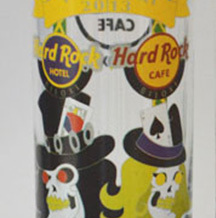 The Hard Rock Cafe shot glass collection is ginormous. That's right, ginormous. Between the different sizes, logos and variant printings, there are a few decision that should be made by a new collector before starting. 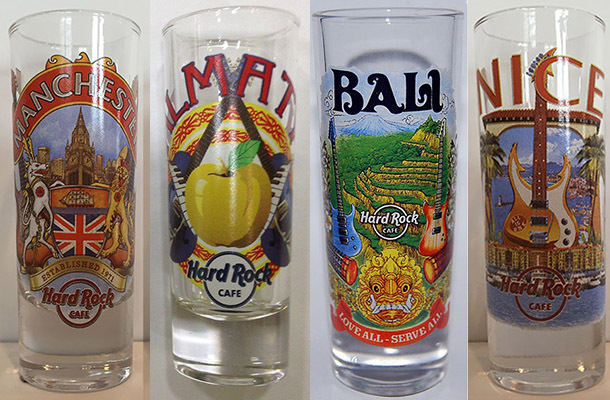 For instance, will a collection include all cafes? How about all logos? All sizes? When starting out, it's a good idea to have a plan and stick to it or the next question becomes - how to display and store them all? 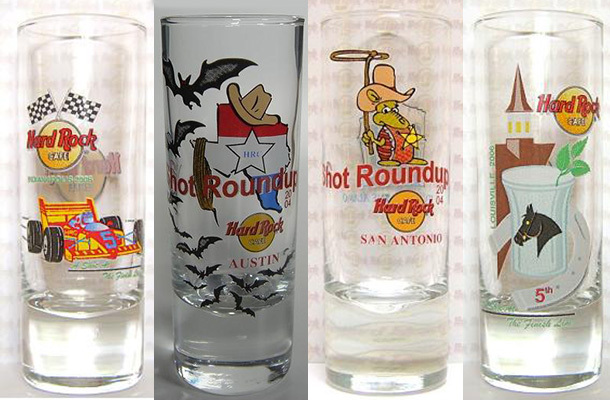 The shot glass itself is normally made of glass. Yeah, yeah, duh. 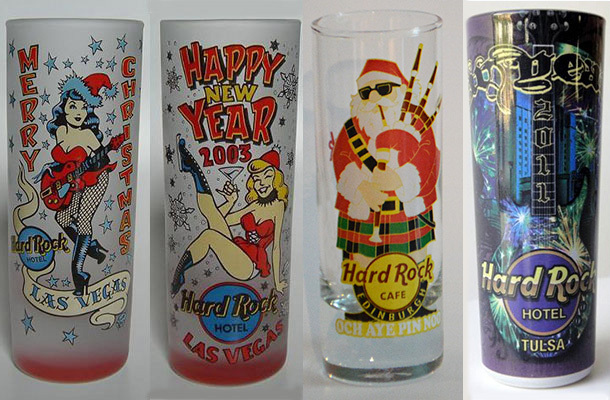 However, there are a few shots in the collection that are made out of plastic, ceramic or pewter... So there! 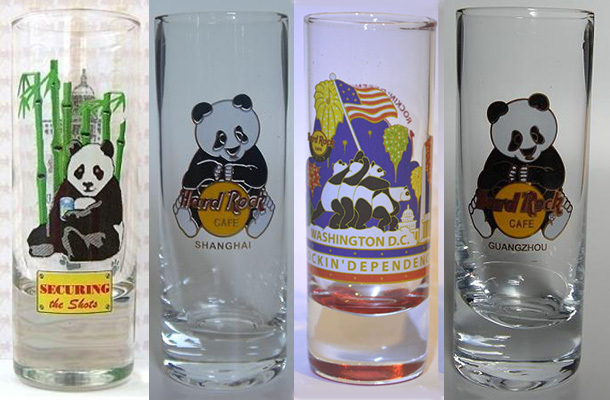 The glass has been released in different sizes. There is the 2 inch, 4 inch, flared, spirit, jumbo, and 7 inch. 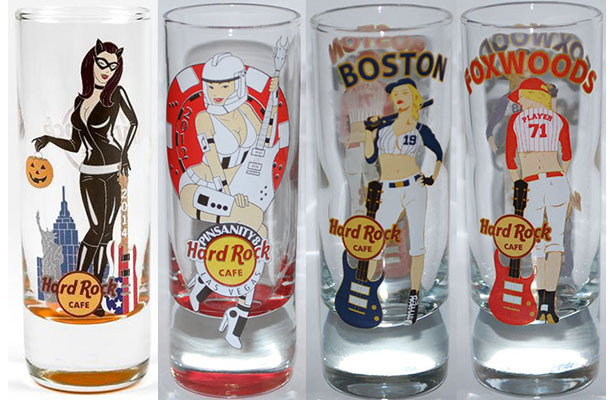 Further to the shape of the glass is the bottom of it, which for the most part is smooth (also known as flat). However, there is also the Taiwan and Key Hole bottoms. For some older Canadian editions, there is also the Banawe imprint. 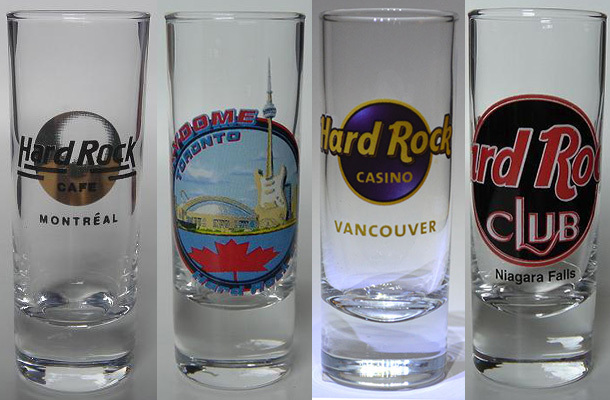 There are literally hundreds of Hard Rock Cafe shot glasses to collect, thanks in part to the different logos. 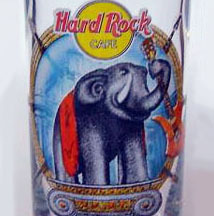 Hard Rock Cafe has changed their corporate logo over the years and has also mixed it up by cafe: for special occasions, events or just for the heck of it. 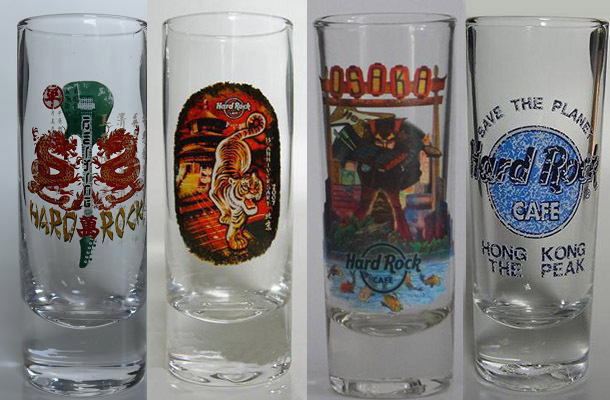 The Hard Rock Cafe started off with restaurants but now has/had hotels, casinos, museums (Vault), bar and renegade locations (which have either been bought out or continue to exist privately). All said and done, a collection can look pretty colorful. Still reading this section huh? Ok here's a drinking tip: Vodka, particularily Crystal Head Vodka, is meant to be sipped, not thrown back champion style... 'cuz it'll burn. So sip it to enjoy properly!